— unless I am myself, I am nobody. 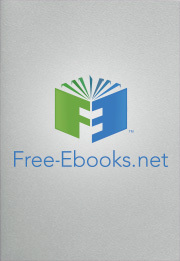 If you are an avid reader you accumulate lots of e-book content on your devices. But when you are done with titles, keeping them stored on your device may be unnecessary. Plus, the more space you use on a device the less room you have for new content. In some cases, using a huge amount of your device’s storage capacity could even slow down its performance. So here are some ways to delete titles you no longer need to carry around from Kindle, Apple, or Kobo devices. Power up the device and then hit the Home Button to take you to the Home Screen. From there you can scroll through titles until you find the one you want to remove. Then just highlight it, and press on the left side of the 5-way control button. If it’s an e-book you bought from the Kindle store, you should see an option that says “remove from device.” Select it and you’re good to go. If it is a title that didn’t come from the Kindle store, you should see an option that says “delete.” Confirm that’s what you want to do and it will be removed from your Kindle. If you later change your mind and wish you still had that e-book, no problem. Amazon keeps track of any titles that you purchased through the Kindle store and lets you download them again, free of charge, even if you already deleted them. On an iPad, you use the iOS Kindle app. Go to that app on your device and then to the screen that displays your library of titles. When you tap on the Downloaded button that appears at the top of the screen you should see only the titles that are currently stored on your iPad. Browse for the book you want to remove, swipe left, and tap the red button that says Archive. But to free up storage space on your device you need to actually remove the book, not stash it in the archive section. So press down on the image of the book’s cover until the menu appears, and you’ll see other options. Select the one that says Remove From Device to delete the book from the iPad. If you want to get rid of free content in your Kindle app such as sample chapters of titles then select the Delete Permanently option and that will do the trick. Go to your Home screen, tap the Home button, and then tap My Books. You’ll be able to browse through all the titles that are stored on your device. Find the one you want to delete and tap and hold on the picture of the book’s cover, or on the book’s title. A menu should appear that gives you options, one of which is Remove. Tap on that one and you’ll see some removal options. To only delete the e-book from your device, but not from the Kobo cloud storage of your purchases, click on Remove Download. To completely remove it from all of your devices and from your Kobo account, click Remove from My Books. But if you choose that option the only way to restore the book to your account will be to go to Kobo’s website and retrieve it from the Archive section. After you have chosen the removal method you want to use, click Remove to complete the process. To remove multiple books, go to My Books on your device, tap on the More icon, and select Manage Books. You’ll see a book manage menu with options you can choose from including one that will appear next to Downloaded Kobo Books that says Remove All. If you tap on Remove All and complete the process by then tapping Remove, all the books you bought from Kobo that are on that device will be deleted from the device. If you have removed a title bought from Kobo you can still find it in your Kobo store Purchase History. To put it back on your device, just select it and download it again. Many people make a New Year’s resolution to downsize, get rid of the excess junk, and make more room in their life for a fresh start. Doing so can free up more actual physical space, but it also has the potential to give you a greater sense of psychological freedom. In fact, studies have been done that showed how some people find it easier to lose unwanted weight if they simultaneously get rid of excess stuff. Of course even if weight management is not one of your goals, decluttering can help you feel more organized and efficient. So shedding the content stored on your devices, which gets you more organized and makes room for new content, is also good for your overall health and well-being. Do you take notes or make annotations in eBooks?